This really isnt working for me. I have followed this step by step but I only get a blank "Block" In squarespace. Any help? 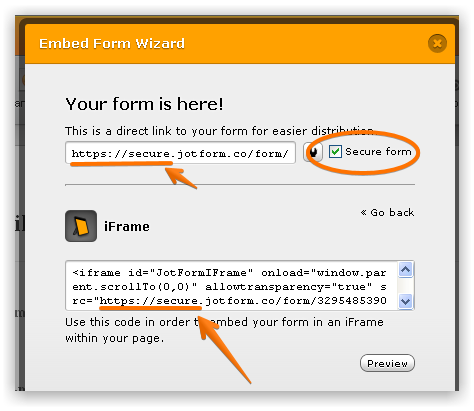 So, in order to let your form shows up, please make sure to check the Form Secure box in the embed wizard, then embed your form to your square space and save the settings. However, I wasn't able to publish my page "to the world" and view the page in live mode as I was using the trial, so I would recommend you to while using the non-secure code of your form save and publish your page and view it as a visitor, it could be that the issue is on ly when editing the page. Please, notice that when you use the Secure mode of your forms it will affect the 10 SSL Submissions limit per month if you are a free user. So, I hope this helps. Feel free to contact us again if you still need assistance about this or kindly open a new thread to make unrelated questions. Thank you SO much for answering this! You just saved me a lot more time. Thanks, thanks, thanks. We are glad to know that our colleague's EliezerN solution works, and all is good now. 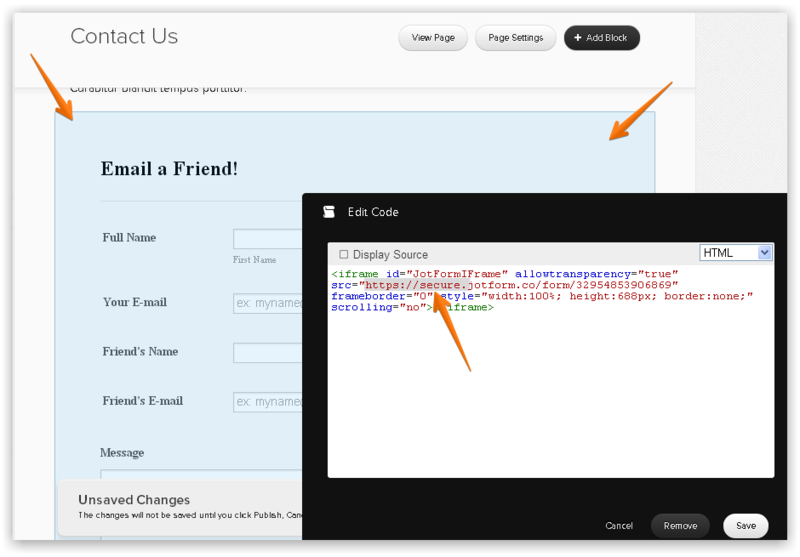 I've tried this but it is still just showing the LINK and not the FORM. 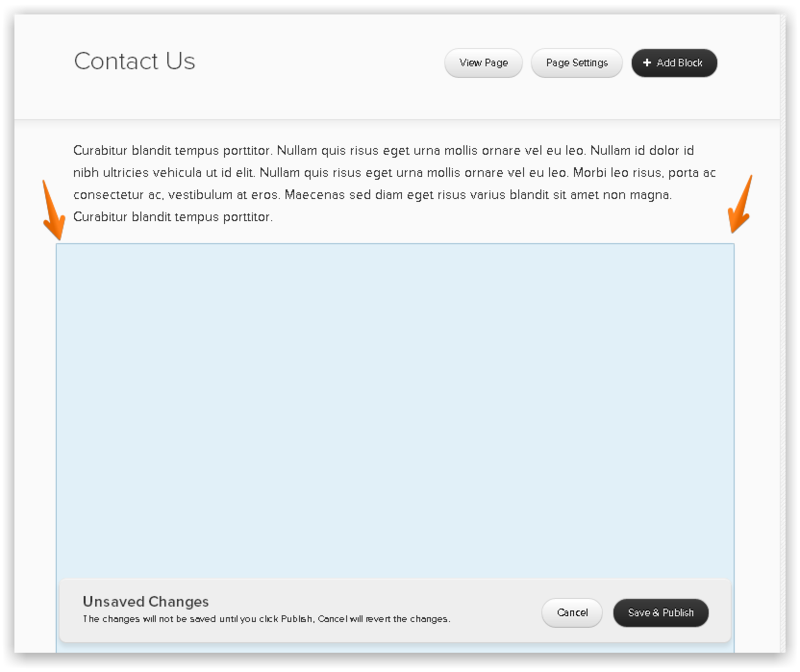 if someone with a squarespace website could kindly direct me on how to put this link in properly that would be great.